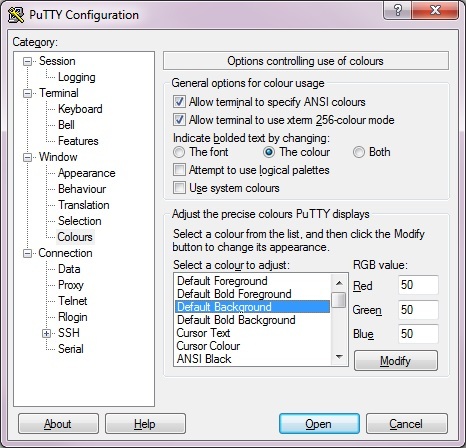 This brief post is about cutomising putty terminal color schemes to something more pleasant. 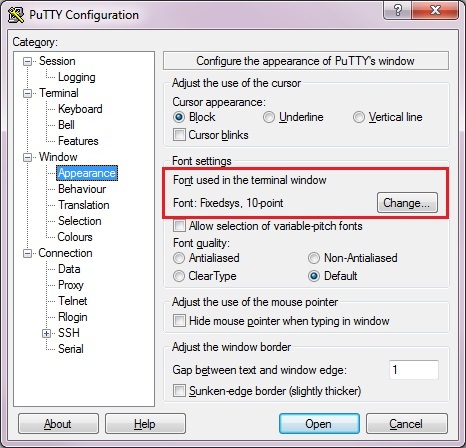 The default ones which come with PuTTY are a relic of past. 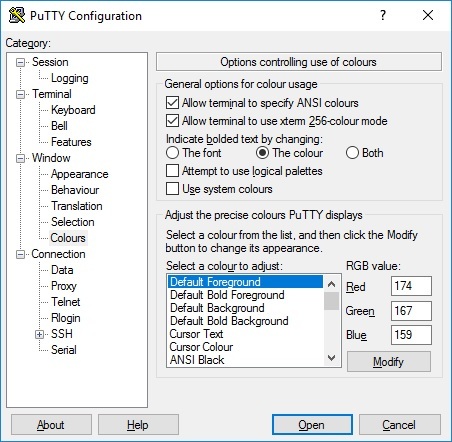 So unless you love the retro there is no need to put up with the PuTTY defaults. You can change it to something more pleasant but that involves registry editing. What if it is disabled? The default color scheme is atrocious. This is more apparent to the users who also work on Visual Studio with dark theme. I mean just compare. 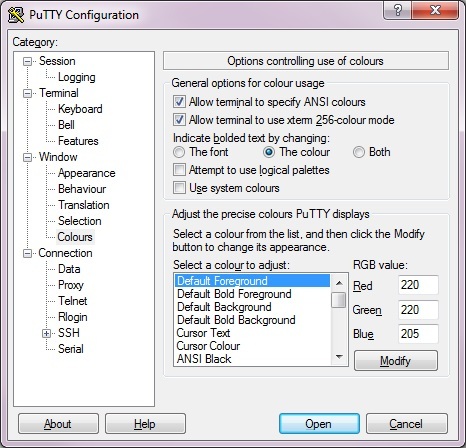 There are many PuTTY terminal color schemes available for PuTTY. However they involve doing registry editing. Which usually is disabled by IT department. At least in my case. Hence I did the pedestrian thing. 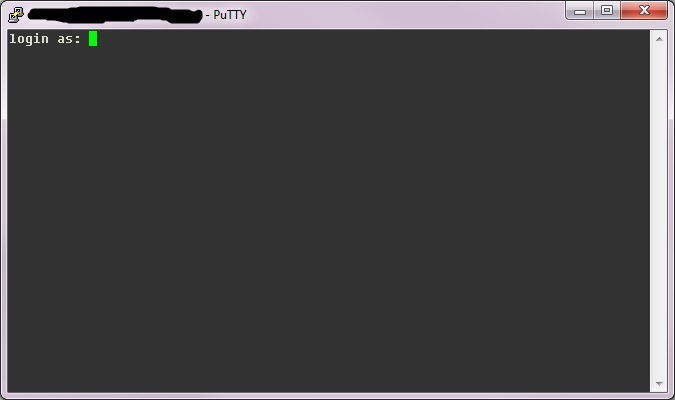 I Actually put the RGB color codes in to have my own puTTY terminal color schemes. Here are the three changes I made to make it more tolerable. And result is something like this. Feel free to head over to the site to see the most latest values. Here I am putting in the converted RGB values in the putty to get the Ubuntu terminal look. However the VIM still remains looking like the dog it was before. So we need to polish it up to. This is simple. First go to this site to see which one color scheme you fancy. I will go for vim material theme. Click on the github link and download the zip. 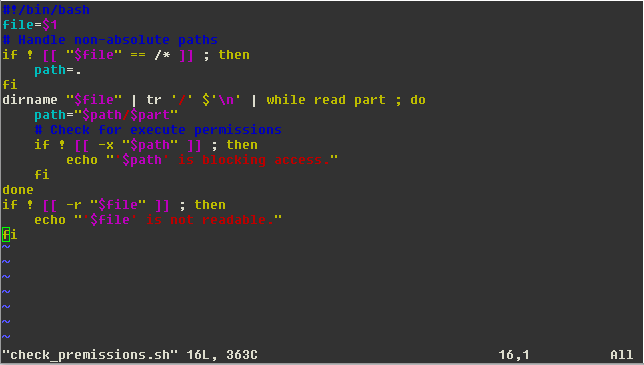 Unzip it and you will see the vim-matrial.vim file in the colors folder. Keep that file handy. 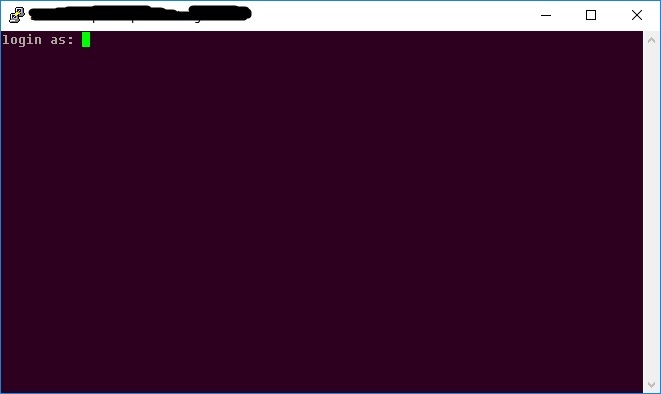 Now on terminal you need to do. Copy that vim-matrial.vim file here. Put the name of the theme in this file.In my case it is vim-material. 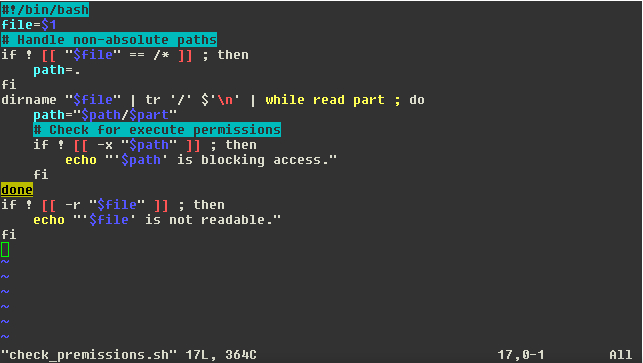 Vim now looks like this. Not bad IMHO. Feel free to share in comments things you have done to make PuTTY look better.